Your Rowan County Public Library exists and operates thanks to the contributions of people like you! Your volunteer work, donations, and other support help us to provide the best possible service to the citizens of Rowan County and to patrons from throughout the region. We always appreciate your assistance, so if you’d like to help us out, there are plenty of ways you can be a direct part of RCPL and everything we do. We accept donations of any kind of material we lend, from books to DVDs to video games. We’ll gladly take any item that’s in good condition (no fire or water damage, no mold, etc.) and give you a receipt for tax purposes, if you want one. You can bring donations straight to the front circulation desk, if they’re small, or call ahead for a big donation and we’ll help you unload at the rear drive-through. We also sometimes accept other types of donations for special or seasonal programs and projects, such as puzzles or art supplies. And of course, if you’d like to make a monetary donation, those are always a big help and are welcome year-round. Consider becoming a member of our local Friends of the Library! 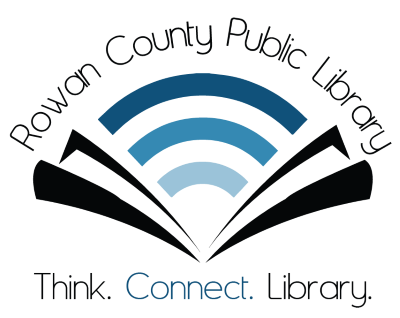 The Friends of the Rowan County Public Library are an organization established to maintain community interest in the library, and to focus public attention on our services, facilities, and needs. Their mission is to build a partnership between RCPL and our service area, the better to advocate for quality library services for everyone in Rowan County. “Friend” is far from an empty title: They work hard to recruit members who reflect and represent our community’s population. The Friends also sponsor library programs provided for children, youth and adults; plan and implement fundraising activities; and to provide funds to purchase materials and equipment in partnership with our administration. Their members represent RCPL to the public and media, striving to promote and support the library’s plans, progress, decisions, and future needs, and they encourage unrestricted donation of gifts, endowments, and bequests to support what we do. They develop and provide social and educational activities alongside our staff, too! Your Rowan County Public Library acknowledges the Friends as one of our best and most important assets. Without them, we would be much more limited in the programming we’re able to offer, not to mention shorthanded during events like our annual holiday open house! They’ve purchased or helped to purchase everything from holiday decorations to food for events, our movie night popcorn machine, and even promotional stuff like tote bags. Plus, they stock and operate our in-house bookstore, where you can purchase used books, movies, Playaways, and more; proceeds from bookstore materials go right back to supporting the library. For more information, or to join the organization, stop by and pick up a brochure at the front circulation desk, or call us at 606-784-7137. We’d love to have you as a Friend! If you’re interested in volunteering at the library, reach out to us and we’ll be happy to try and work with you! We welcome helping hands from our community who want to shelve materials or assist with setting up or tearing down for programs. There may also be other things you can do, like reading during children’s story time or serving food during the holidays. Just ask about our volunteer policies! There’s always some way to contribute to your Rowan County Public Library. You can find the appropriate forms linked below. Just click any of them to open or download and then print. Bring completed forms to our front circulation desk (if you’re 18 years of age or older) or to our children’s circulation desk (if you’re 12 to 17 years of age) and we’ll make sure they get to the proper staff members for review. Once your application to volunteer has been filed, someone will reach out and contact you to confirm the details of your volunteer status and activities.